The floor plans of your building and rooms are converted into Vastu Floor Plan compass point charts. This is an integral part of your Vastu analysis. It is essential to know the relationship between the property under analysis and the orientation of the eight compass points of the premises. (Vastu considers the four cardinal points and the four sub cardinal points; i.e. North, Northeast, East etc.). Once this relationship has been established it is used as the basis for the analysis. In the creation of the Vastu Floor plans a blueprint of the property is oriented North and situated on a grid dividing the building into 64 energy grid field for a home and 81 energy grid field for a business. These divisions can assist you in determining the best use of the different areas of your building. 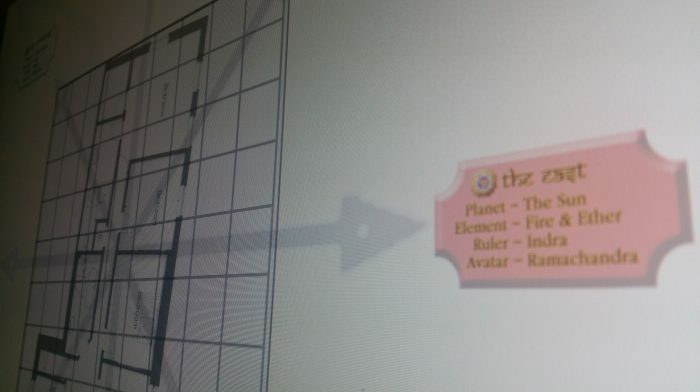 The floor plan is surrounded by plaques depicting the planet, element, ruler (deva) and Avatar associated with each direction. You can explore the qualities of each direction and understand what is has to offer you. 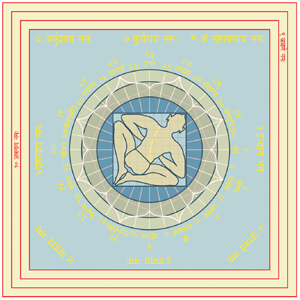 The Vastu Purush; the human shaped deity of the building who is also referred to as the Symbol of Life Space, is depicted on an additional floor plan with his head lying in Northeast and his feet in the Southwest. The Energy Entrance Calculator is the third Vastu Floor plan you will receive in a consultation. It will show you the quality of the energies as they enter your premises, through windows and doors etc. You can also see where positive energy flow is blocked and set about ‘opening it up’ with various vastu tools under our guidance. Please note where the eight compass points enter through the walls of your building. 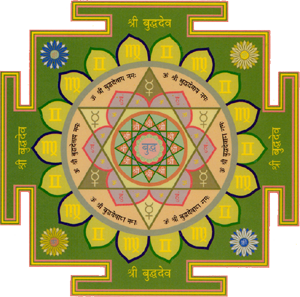 These points will be used to help you place the respective Vastu Yantras in their own directions.